Be the first to share your favorite memory, photo or story of Milton. This memorial page is dedicated for family, friends and future generations to celebrate the life of their loved one. Milton Charles Gaskin, 78, was called to his heavenly home on February 3, 2019. Milton was born in Anacoco, Louisiana, on May 29, 1940. He was the fifth child of the late Montreal and Sirvella Gaskin. 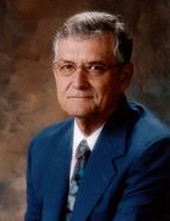 In 1960, Milton and Sue moved to Pasadena, Texas, where he settled to raise his family. Milton was a faithful follower of Christ, and served in his church home as treasurer, usher, and member of the finance committee. He worked over 45 years in the oil and gas industry and outside of work, he enjoyed woodworking, gardening, and drinking a good (aka strong) cup of coffee. He is survived by his loving wife of 60 years, Wanda Sue Gaskin, and their two daughters, Sherilyn Reynolds and husband, John, and Kimberly George and husband Chacko; grandchildren: Brian, Allison, Alan, Sarah, and Seth; great-grandchildren: Nathan and Noah. In lieu of flowers, the family requests donations to Northwest Baptist Church Building Fund. A funeral service for Mr. Gaskin will be held at 11:00 a.m. on Friday, February 8, 2019, at Rosewood Funeral Home in Pasadeno, TX. A visitation time for his family and friends will be held at Rosewood Funeral Home from 5:00 p.m. to 7:00 p.m. on Thursday, February 7th. On Saturday, February 9th, a graveside service will be held at Good Hope Baptist Church in Anacoco at 11:00 a.m. under the direction of Jeane's Funeral Service. To send flowers or a remembrance gift to the family of Milton Charles Gaskin, please visit our Tribute Store. "Email Address" would like to share the life celebration of Milton Charles Gaskin. Click on the "link" to go to share a favorite memory or leave a condolence message for the family.